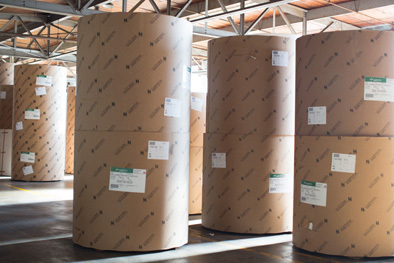 We have three precision sheeters to convert paper and paperboard. They have dual rotary knifes for the cleanest squarest cuts. We look forward to serving your sheeting needs. All of our skids are custom made for each job. Add these inserts to improve your run times. 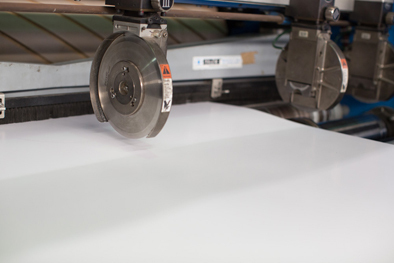 Our shear cut slitter rewinder allows us to serve the narrow web printing marketplace. We manufacture Single Face A and B Flute in a wide range of roll widths on 250-lineal-foot rolls. We also offer custom roll widths as well as custom lineal-foot rolls per your request. Our flexible and robust inventory management system allows us to accurately manage your inventory for toll converting purposes. We use it to accurately manage our own inventory so that we can effectively serve the just in time marketplace. Our 150,000 square foot facility provides ample space for the management of customer and company owned inventory. We also manage floor stocking programs in rolls and sheets to provide the product you need when you need it. We recycle every component from the converting process. 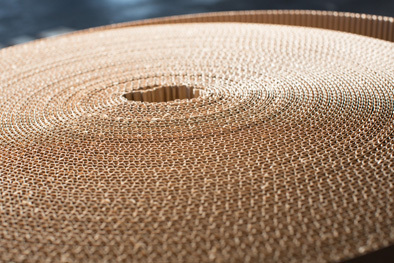 This includes the scrap, fiber cores and wooden core plugs. Since 1861 we have striven to be good stewards of the environment and the productive resources entrusted to us. © 2019 Williams Paper. All Rights Reserved.